As parents and teachers, how many times have you said to children, “stop playing with your food”? 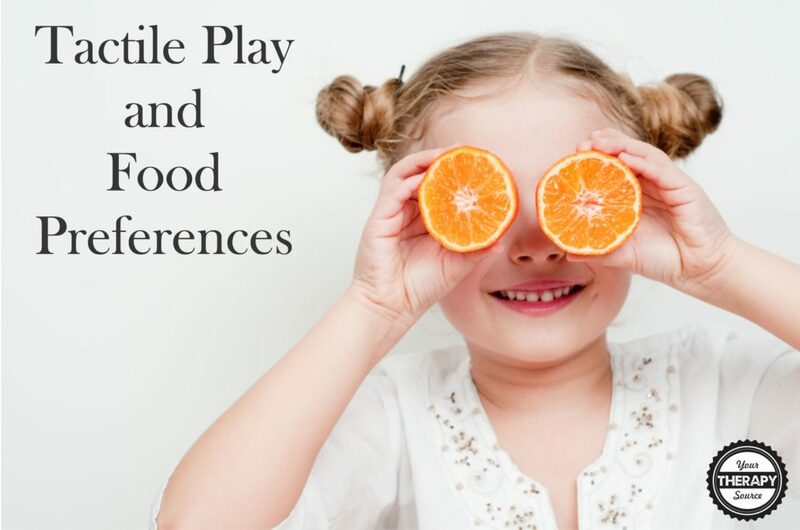 There is evidence based research indicating an association between food tactile play and food preferences in children. A recent experimental study examining preschool children and their parents, indicated that children in a sensory fruits and vegetable play condition tried more fruits and vegetables than both children in a non-food sensory play task and children in the visual fruits and vegetable exposure task. It not only occurred for the five foods used in the activity but also three additional foods that were not used in the activity. The researchers concluded that sensory play activities using fruits and vegetables may encourage fruit and vegetable tasting in preschool children more than non food play or visual exposure alone (Coulthard & Sealy, 2017). A previous study evaluated children and their parents’ enjoyment of a tactile play task, measures of food neophobia (aversion) and tactile sensitivity using questionnaires. The results indicated strong associations between parent and child scores across all three measures of food neophobia, tactile sensitivity and tactile play enjoyment. The variables most strongly related to child food neophobia were parental neophobia and enjoyment of tactile play (parent and child). The researchers concluded that tactile processing is associated with food neophobia (Coulthard & Sahota, 2016). Need some ideas for tactile food play? How about trying some of the suggestions below on a large tray or bowl. Children can finger paint, scoop, pour and explore for a tactile play experience. Coulthard, H., & Sahota, S. (2016). Food neophobia and enjoyment of tactile play: Associations between preschool children and their parents. Appetite, 97, 155-159. Coulthard, H., & Sealy, A. M. (2017). Play with your food! Sensory play is associated with tasting of fruits and vegetables in preschool children. Appetite. 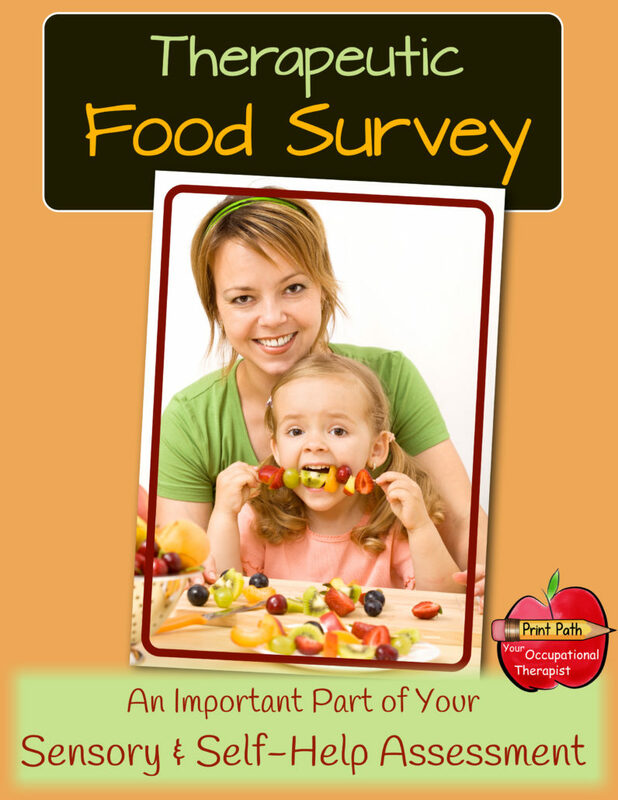 Therapeutic Food Survey: Do you have students who need interventions due to sensory, self-help, oral, and oral-motor problems such as chewing, swallowing, touch, taste, or texture? Do you want a tool to help you work hand in hand with your client’s family to prioritize and set goals? • Discover what and how much your client is and is not presently eating. • Interview family members about history and family goals. • Narrow down vague descriptions and create hard data. • Use data to establish achievable goals. • Use data to document progress.